A recent discovery could radically change our views of one of the world’s most famous archaeological sites, Tutankhamun’s tomb. Scans of the complex in Egypt’s Valley of the Kings revealed it may still include undiscovered chambers – perhaps even the resting place of Queen Nefertiti – even though we have been studying the tomb for almost 100 years. It’s common to get excited about high-profile archaeological discoveries, but it’s the slower, ongoing research that shows the real potential of new technology to change our understanding of history. The latest findings touch on the mystery and conjecture around the tomb of the Egyptian queen consort Nefertiti, who died around 1330 BC. Some scholars believe that she was buried in a chamber in her stepson Tutankhamun’s tomb (known as KV62), although others have urged caution over this hypothesis. Nefertiti is a pivotal figure in Egyptology. She and her husband Pharaoh Akhenaten helped bring about a religious revolution in ancient Egypt, and she may have even briefly ruled the country after his death. But we have little solid information about her life or death and her remains have never been found. So the discovery of her tomb could be instrumental in revealing more about this critical period in history, and even change our views on how powerful and important she was. Nicholas Reeves, the director of the research, believes that the size and layout of KV62 means that it may have originally been designed for a queen. He has also used a ground-penetrating radar (GPR) survey to look for possible hidden antechambers that may contain Nefertiti’s remains after reassessment of the relationship between Nefertiti and Tutankhamun led to renewed interest in the tomb. Ground penetrating radar. University of Southampton. The geophysical survey techniques used to study the tomb have been applied in archaeology since the 1970s. 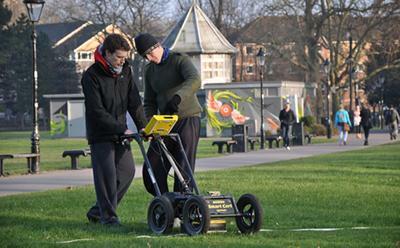 GPR involves emitting electromagnetic radar waves through a structure and measuring how long it takes for them to be reflected by the different objects and elements that comprise it. Different materials reflect the radar waves at different velocity so it’s possible to use this information to build a 3D map of the structure. For KV62, the map suggests there are spaces beyond the standing walls of the tomb, which could be undiscovered antechambers. The problem with such surveys is that the high hopes of the initial conclusions released to the public may not match the reality of later findings. The data can often be interpreted in different ways. For example, natural breaks and fissures in the rock may produce responses similar to undiscovered chambers. Scanning the relatively small area of the walls of an individual chamber can make it difficult to place the results in a broader context. By gathering a wider range of data, we can slowly build up a clearer picture of the history of a site. While not as dramatic as uncovering a forgotten tomb, the process of using technology to gradually study a site can, directly and indirectly, significantly change our view of it or the people associated with it. Other geophysical techniques tend to be used to study more open sites or landscapes. Magnetometry measures the variations in the Earth’s magnetic field that are caused by many forms of buried archaeological material, from fired material such as kilns to building material and filled ditches. Earth resistance measures how easily electrical current passes through the ground. Features such as walls, paving and rubble have a high resistance to current, while filled ditches and pits tend to have a low resistance. Hidden landscape. Stonehenge Hidden Landscape Project LBIArchPRO. Putting such techniques to use at Stonehenge, for example, has completely transformed the way we think about how the landscape was used, and the forms of worship used by Neolithic society. Prior to the survey only a handful of ritual monuments were known around the impressive remains of Stonehenge, meaning that archaeologists could not easily evaluate the way in which the landscape was used. The geophysical survey revealed hundreds of archaeological features, including 17 major ritual monuments. 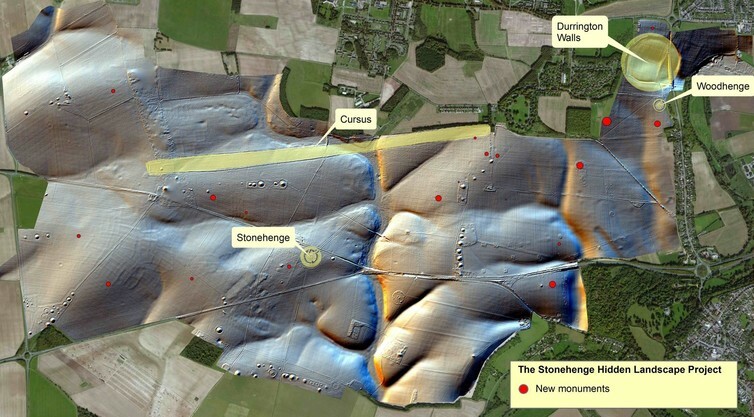 For the first time archaeologists were able to map every single possible buried monument in the landscape, including henges, pits, barrows and ditches. This means we can start to fully appreciate the way in which the ritual landscape was organised. For example, the new monuments reveal astronomical alignments that were previously unknown or only partly recognised. Similar geophysical survey work at Ostia Antica in Italy has completely altered our theories about the layout of the city and its harbour. A magnetometer survey conducted across the area between Portus and Ostia between 2008 and 2011, discovered the presence of buried warehouses and associated structures. These were enclosed by the line of a defensive wall, showing that the extent of the ancient city included both banks of the river Tiber. This crucial fact changes the potential size of the city and alters our plan of its harbour area. This suggests much more of the city was used for storage, perhaps making it even more important as a port for nearby Rome than previously thought. Old Sarum revealed. University of Southampton. An ongoing survey at Old Sarum in Wiltshire in the UK has been studying the area surrounding the remains of the Iron-age hillfort and medieval town. 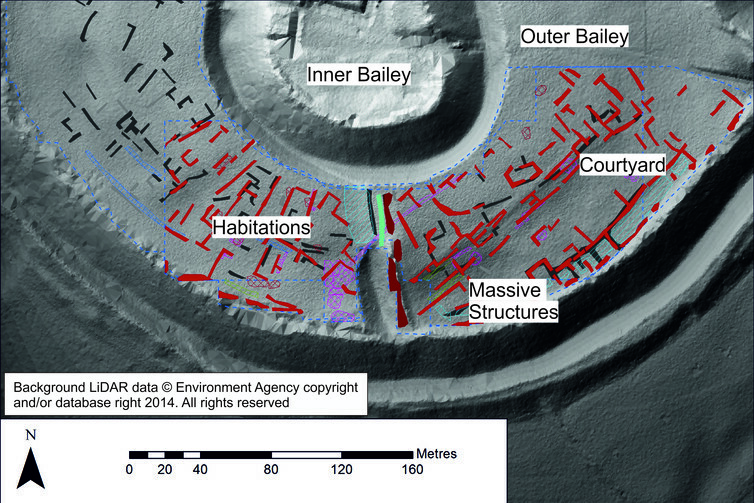 Using GPR, magnetometry and earth resistance together has uncovered an unprecedented number of Roman and medieval structures, courtyards and other remains. This indicates that there was a much more substantial and complex settlement at Old Sarum much earlier than previously thought. Further work in 2016 may even prove claims of a late Saxon settlement and mint at the site. These kinds of discoveries show that geophysical technology has a huge role to play in archaeology, both through investigation of sites and landscapes, and also of smaller monuments such as buildings and tombs. But we need to look beyond the more sensational aspects of such research and understand the role it plays in the bigger picture of uncovering the past.